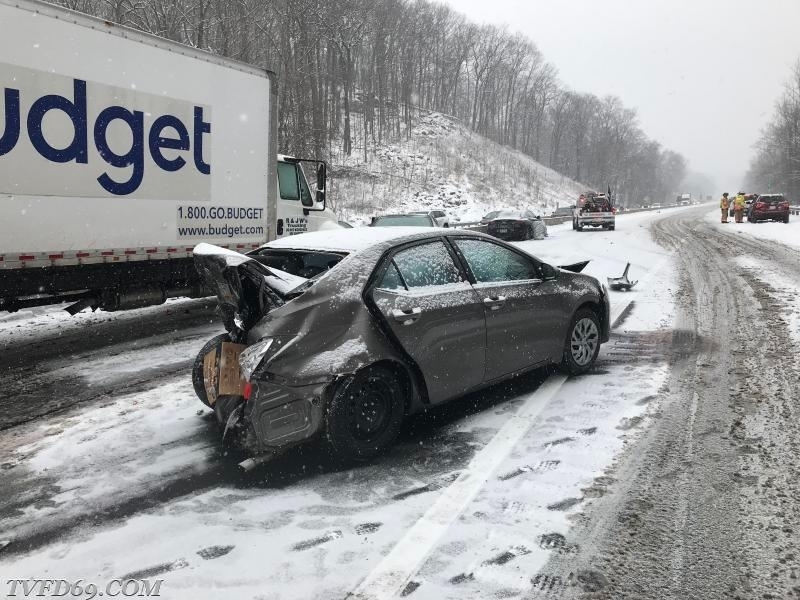 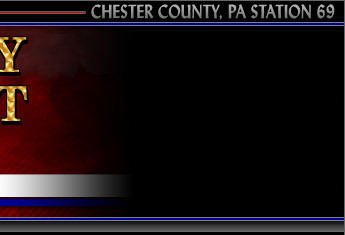 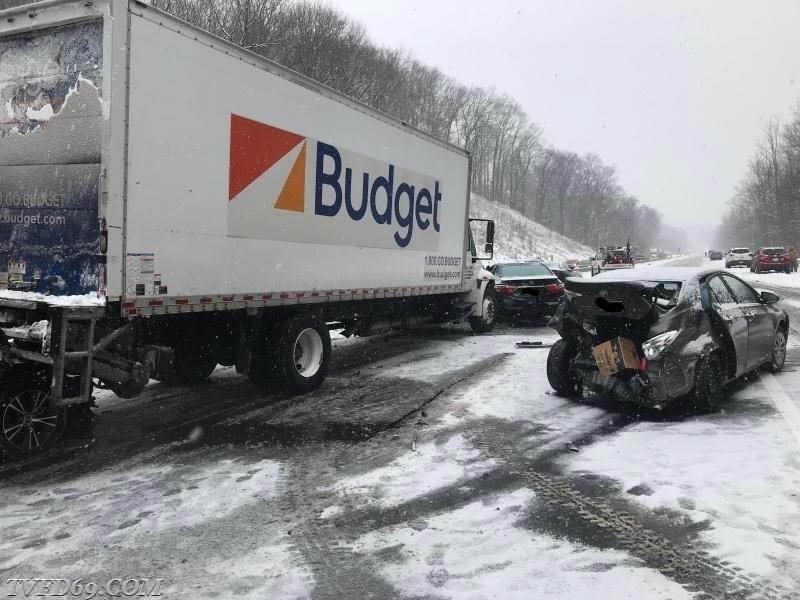 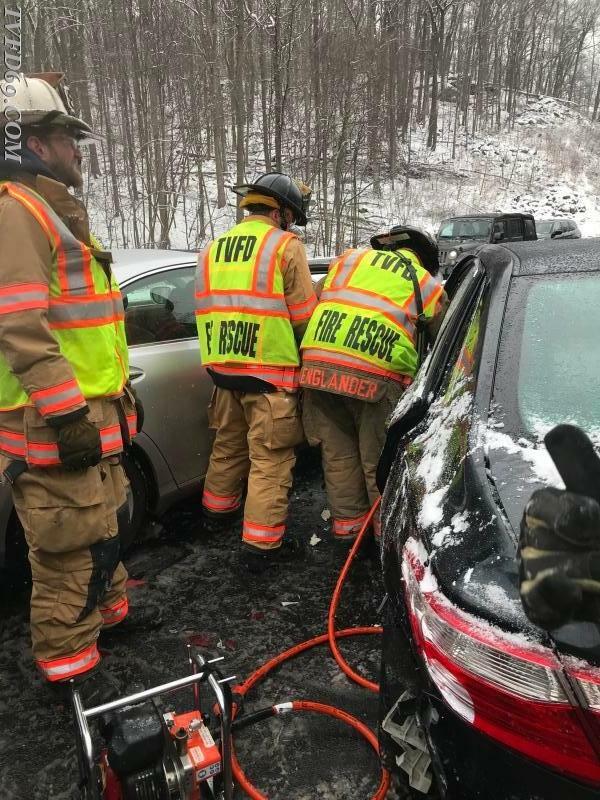 At 9:42am, TVFD and EMS were dispatched to an automobile accident on the eastbound PA Turnpike in Upper Uwchlan. 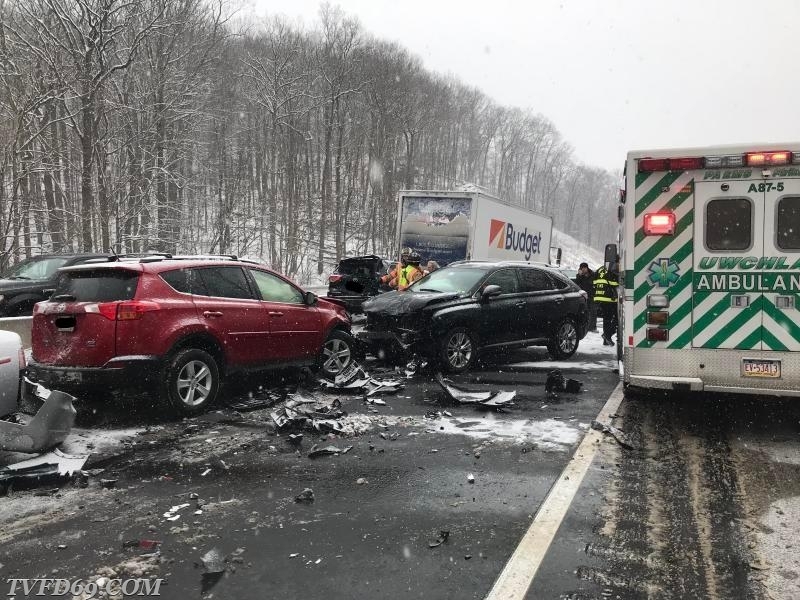 Responding units were advised of a multi-vehicle accident with an unconfirmed amount of injuries. 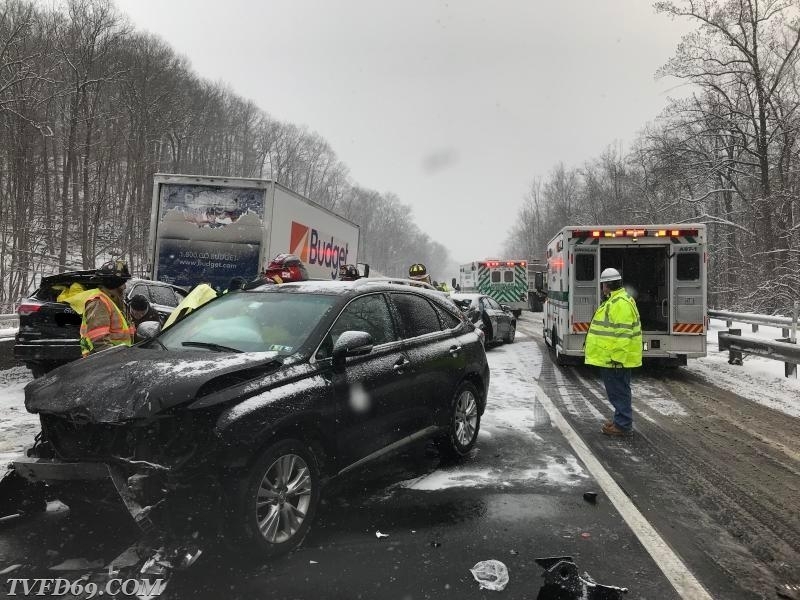 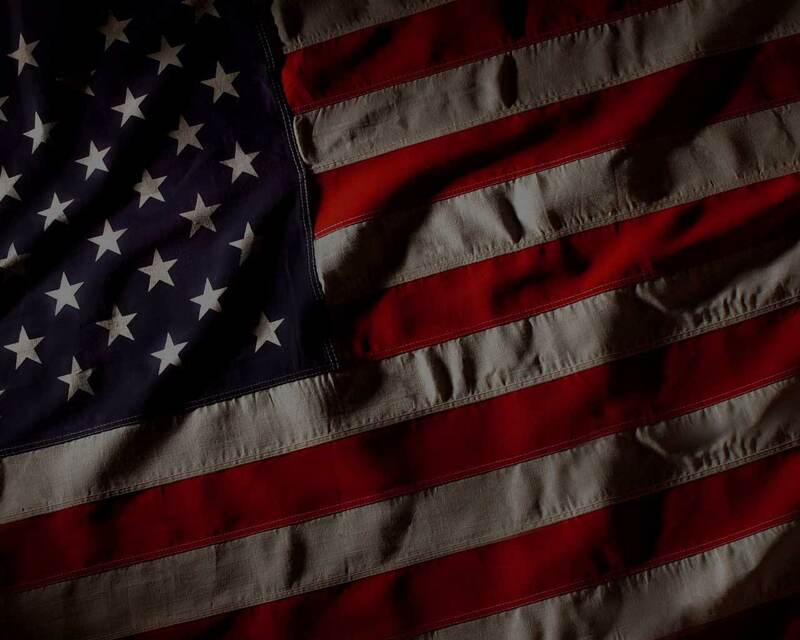 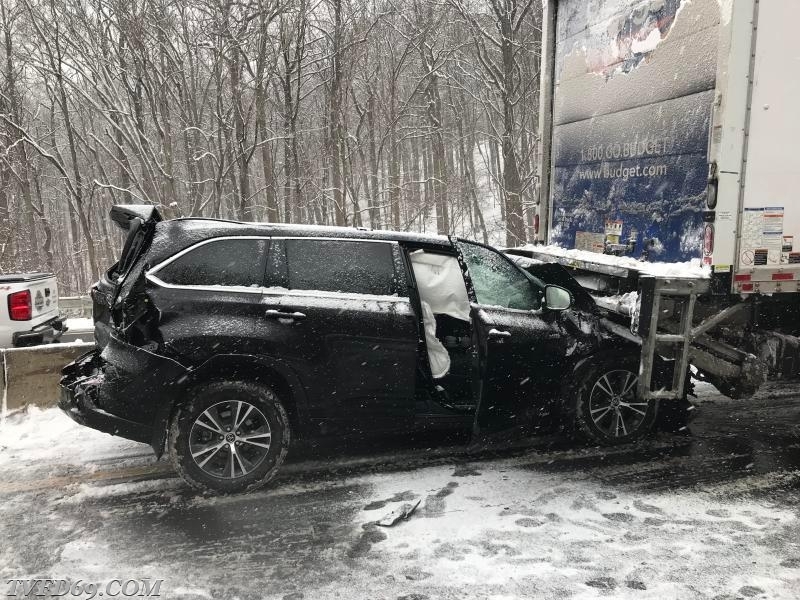 An additional ambulance from Uwchlan was dispatched after State Police stated that there were multiple injured subjects, but unknown severity. 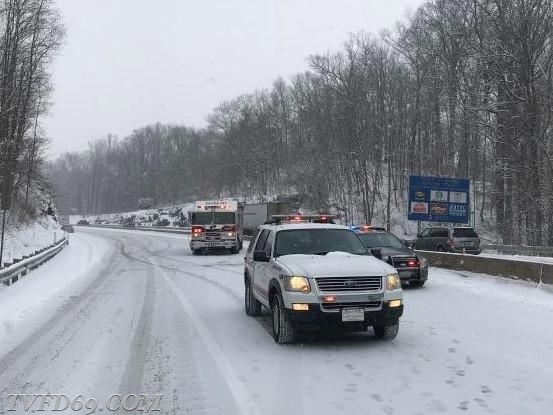 Deputy 69 (Brooks) arrived to confirm up to 15 vehicles and 3 commercial trucks involved blocking the roadway, and established "Turnpike Command". 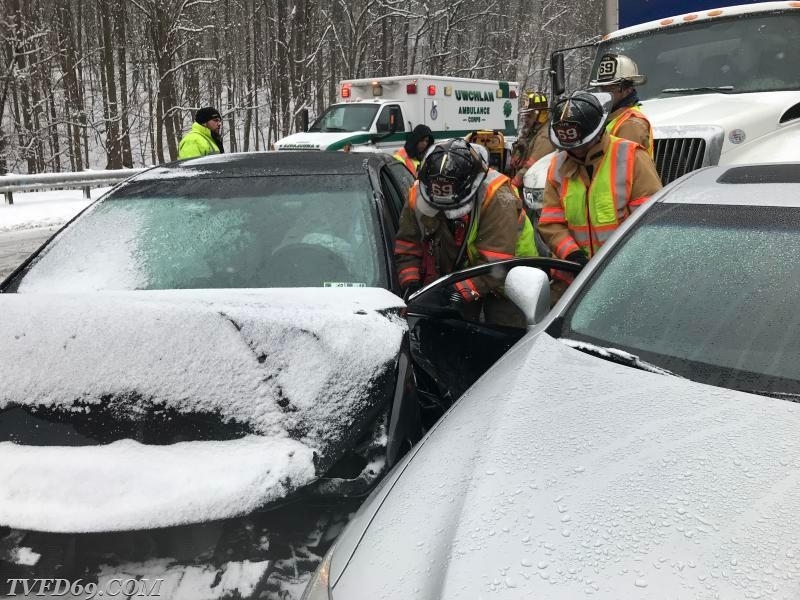 Rescue 69 and Brush 69-1's crews began assessing hazards on all of the vehicles, and assisted EMS with triage of the injured occupants. 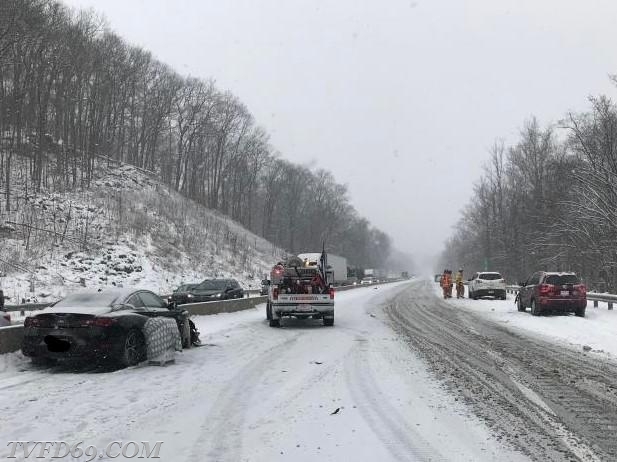 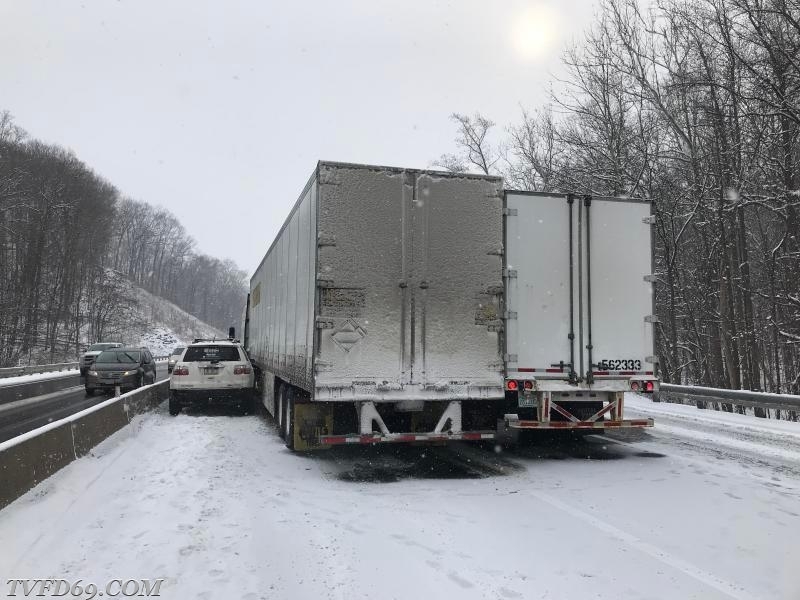 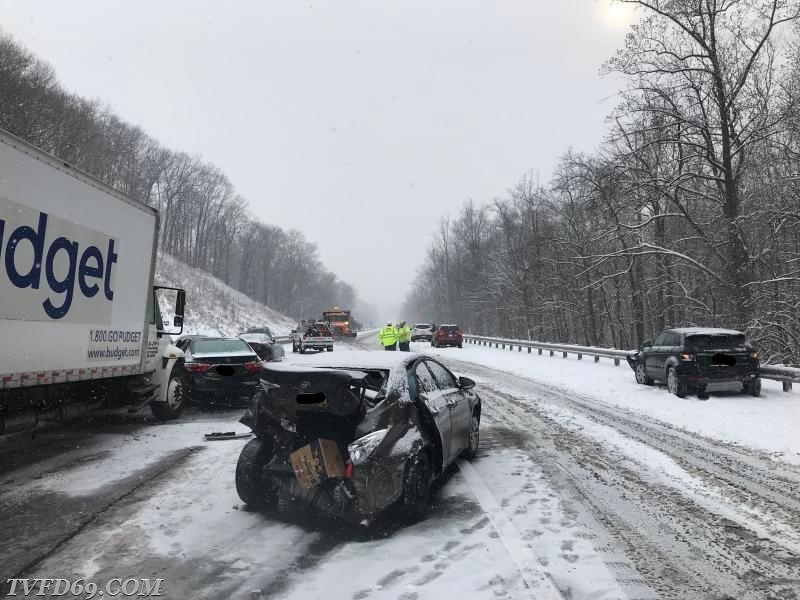 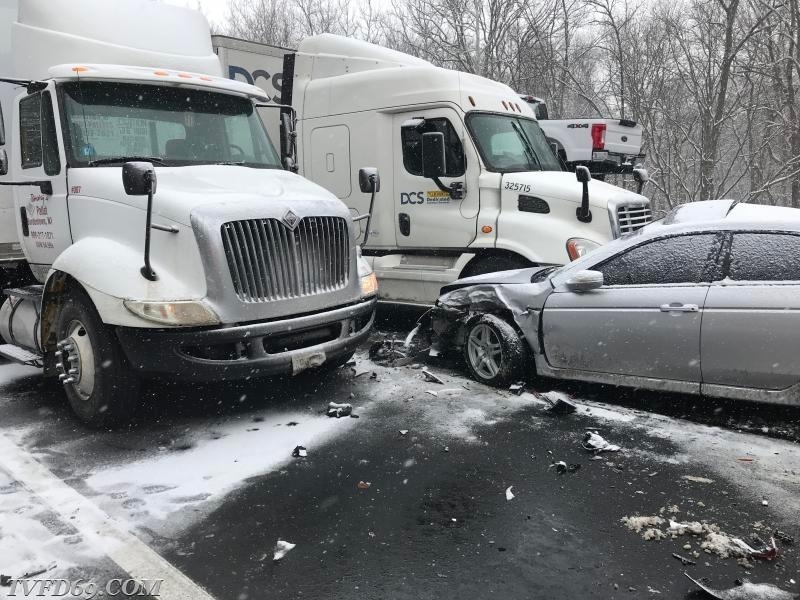 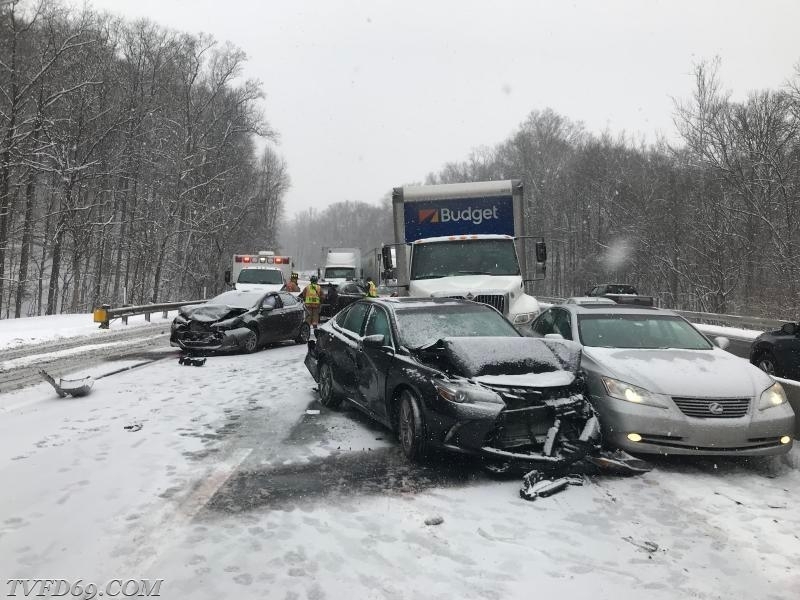 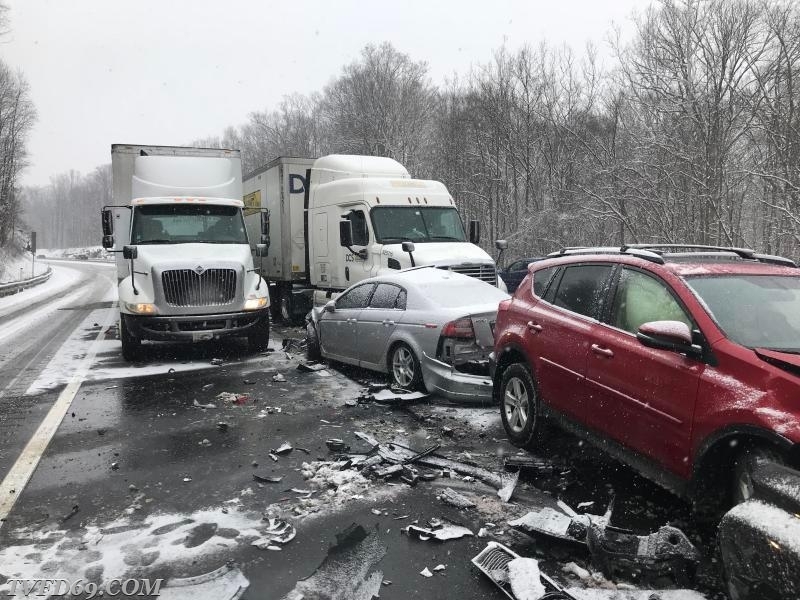 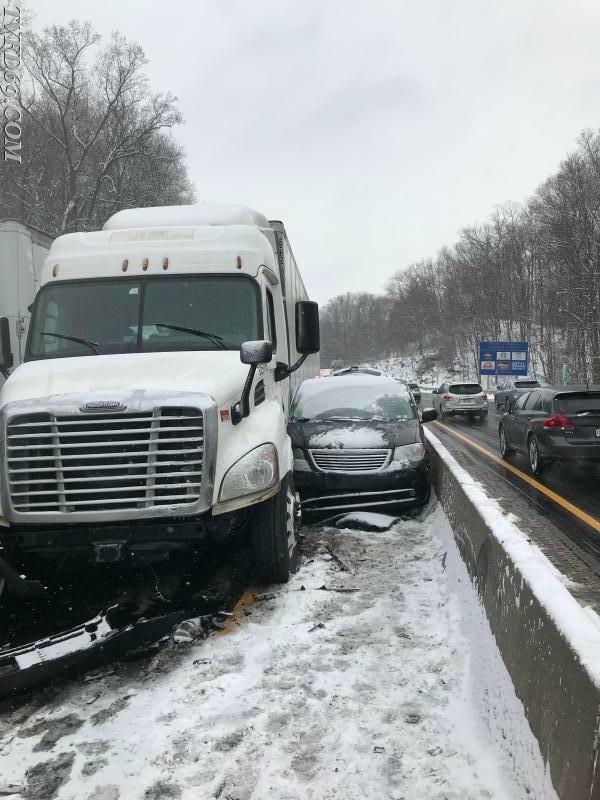 Turnpike supervisors arrived and established "plan X", which closed the eastbound side of the turnpike from Morgantown to Downingtown, and re-routed vehicles stuck in the traffic to the closest access gates. 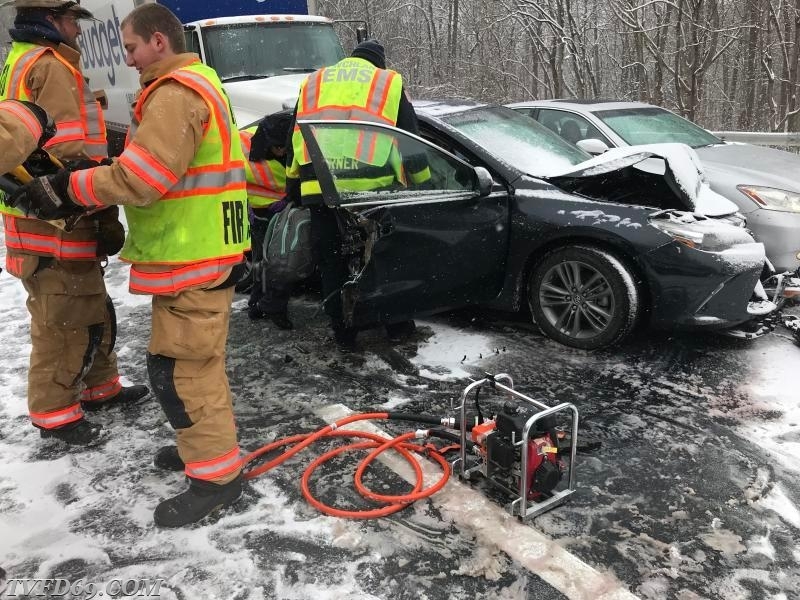 After surveying the scene, most of the injured subjects were walking wounded, but three occupants had to be extricated from their vehicles. 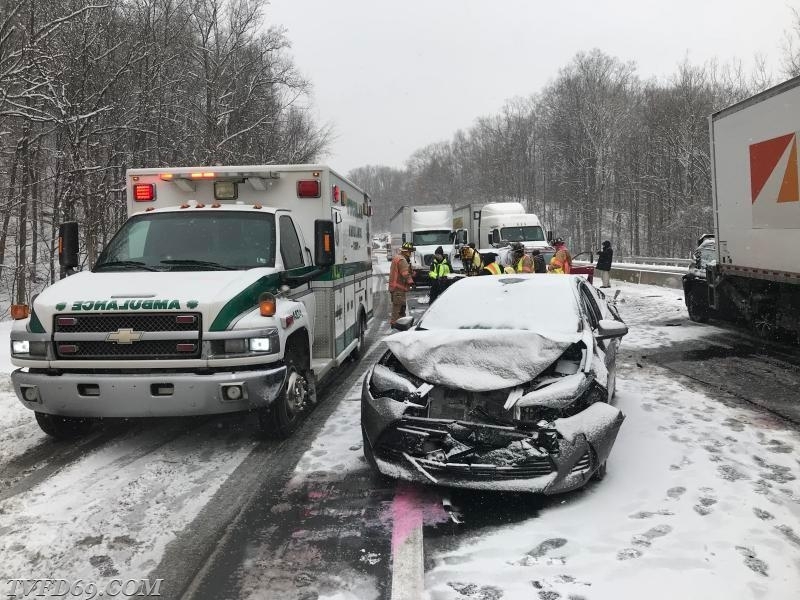 A third Uwchlan ambulance was requested to the scene due to the amount of injured subjects, and a total of 11 patients were eventually transported to a local hospital. 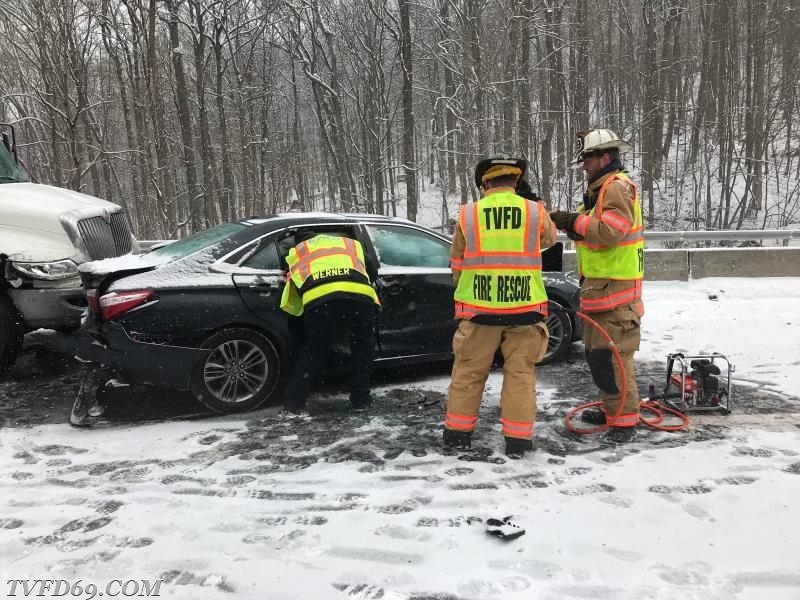 Fire crews assisted with clearing debris from the roadway and were released by the State Police.